William Corey Williams had amassed more than four decades of professional experience prior to being granted Professor Emeritus at Vanguard University of Southern California in 2009. COSTA MESA, CA, August 28, 2018 — Marquis Who's Who, the world's premier publisher of biographical profiles, is proud to present William Corey Williams, PhD, with the Albert Nelson Marquis Lifetime Achievement Award. An accomplished listee, Dr. Williams celebrates many years' experience in his professional network, and has been noted for achievements, leadership qualities, and the credentials and successes he has accrued in his field. As in all Marquis Who's Who biographical volumes, individuals profiled are selected on the basis of current reference value. Factors such as position, noteworthy accomplishments, visibility, and prominence in a field are all taken into account during the selection process. Dr. Williams received his Bachelor of Arts and Master of Arts in biblical studies at Central Bible College. In 1964 he received a National Defense Foreign Language Fellowship, Title VI, that enabled him to attend New York University, where he received a second Master of Arts (1966) and the Doctor of Philosophy in Jewish Studies with a major in Hebrew Language and Literature (1975). 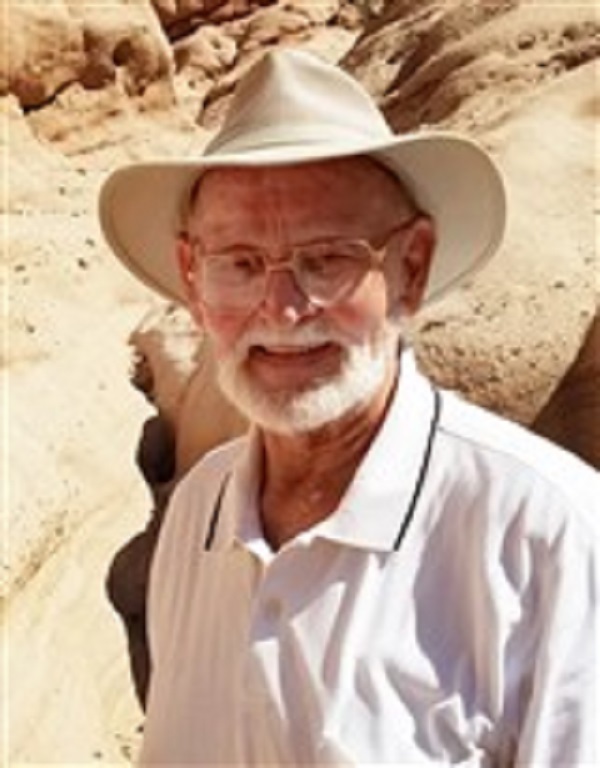 For postdoctoral study, he attended The Hebrew University and the Institute of Holy Land Studies, both in Jerusalem, studying Ancient Near Eastern languages and the Archaeology and Geography of Israel. Dr. Williams had amassed more than four decades of professional experience prior to being granted Professor Emeritus at Vanguard University of Southern California in 2009. He began his professional career with an appointment as Reference Librarian in the Hebraic Section of the Library of Congress 1967-69. During his tenure at VUSC he also served as adjunct professor at Melodyland School of Theology and Fuller Theological Seminary. He would go on to serve as Visiting Professor of Old Testament at The Asia Theological Center (Singapore), Continental Bible College (Belgium), Mattersey Hall Bible College (United Kingdom), the Institute of Holy Land Studies (Jerusalem), and Regent University (Virginia Beach, VA). Dr. Williams was a translation consultant and member of the editorial board for Lockman Foundation that produced the New American Standard Bible. He went on to serve as translation consultant for the following versions of the Bible: the New International Version, the New International Reader's Version, the New Century Version, and the New Living Translation. He was translation editor of the Old Testament for the International Children's Bible. As well as having written a number of book reviews and articles in peer-reviewed journals, Dr. Williams has written and edited several books, including They Spoke from God, Hebrew I: a Study Guide and Hebrew II: a Study Guide. He has read numerous professional papers and has contributed articles to The International Standard Bible Encyclopedia, The New International Dictionary of Old Testament Theology, The Evangelical Dictionary of Biblical Theology, among others. In an effort to remain aware of recent developments within his field, Dr. Williams has maintained his membership in professional societies such as the Society of Biblical Literature and the Evangelical Theological Society. In light of his exceptional achievements in religious services and higher education, Dr. Williams has accrued several accolades throughout his impressive career. He received the Delta Alpha, Distinguished Educator Award from the Assemblies of God in 1997. He also received the Chi Pi, nominated by Valley Forge Christian College in 1997 as well as the Delta Epsilon Chi in 1992. In recognition of outstanding contributions to his profession and the Marquis Who's Who community, Dr. Williams has been featured on the Albert Nelson Marquis Lifetime Achievement website. Please visit www.ltachievers.com for more information about this honor. In recognition of outstanding contributions to his profession and the Marquis Who's Who community, Dr. Williams has been featured on the Albert Nelson Marquis Lifetime Achievement website. Please visit www.ltachievers.com for more information about this honor.